Each Rubbish to Runway Show is unique to its community, but global in its vision. TICKETS SOLD OUT. See you next year! The eighth annual original Rubbish to Runway will be held at the Governor's Academy secondary school in beautiful Byfield, MA. The partnership with The Governor's Academy will bring the students of Long Way Home's flagship school, Centro Educativo Tecnico Chixot, into an exchange with The Governor's students to enhance learning opportunities on both sides. Our favorite emcee, Mayor Donna Holaday, will again hostess, and walk the runway. Matt Paneitz, Executive Director of Long Way Home, is threatening to take a walk on the catwalk too! See you there for all the fun! LAST SUCCESSFUL SHOW was on Saturday, September 22, 2018. Thank you to all our patrons and supporters. See you in 2019!!! 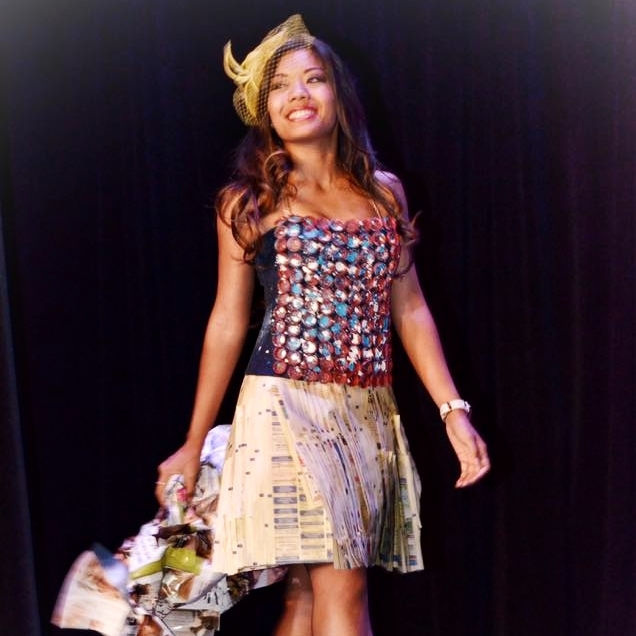 Yessenia Morales brings the third annual Houston Rubbish to Runway to the Talento Billingue de Houston. This show is in remembrance of Vanessa Morales, Yessenia’s twin sister, who loved education, girls and fashion. Los Angeles rubbish walks the catwalk for its third year in March 2019. Creators Danny Paz and Rocio Ortegon return to guide both experienced designers and newbies to take up this exciting creative challenge. Alyson Brown, a Rubbish to Runway designer and Lexington, MA drama teacher, is organizing the first R2R of tweens helping children. Brown invites the public to attend this Rubbish to Runway event to see fashions created by sixteen middle school students who are using their own rubbish—broken umbrellas, paint chips, soda bottles and plastic bags—for good.